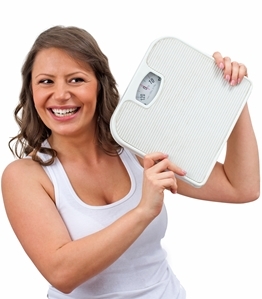 There are many ways to lose weight, most people use one option or the other with little or no success. Some are determined to find the best way to maximize positive results. Of course, taking all solutions prove to be more beneficial than just one solution alone. They are synergistic. Exercise. Not only does it help in burning calories, it also helps in making all joints work smoothly. You get them "oiled" when you exercise, which makes them work through the day with more energy. In other words, more can be accomplished. Sleep. Having enough sleep can actually make you lose weight rather than being deprived. Regardless of the reason (like work), having at least 7-9 hours of sleep allows time for the body to repair, relaxes the digestive system and gives you less to think about weight-gaining foods. Food Intake. Not everything you put in your mouth is real food. For most people, it's junk. Even most vegetables from the grocery have been tampered with (GMO or sprayed with pesticides). What you eat has the greatest effect in losing or gaining weight, though. Eat smart so you can be on the right track every day. some supplements help quick weight loss and the more you discharge, the better. You lose more that way than mere excreting perspiration through your pores. You can only be hampered by the wrong foods you eat. With the right nutrients and enough fiber, you not only discharge properly, but you also make your immune system stronger. Anyway, I heard good results with this product called US Premium Garcinia Cambogia, its been proven safe and effective to use. I was just thinking about using this since I have been having a hard time losing weight since I had a baby. There’s a lot of good reviews detailing the experiences of people using this product and I’m really convinced and excited that it will work for me. I can’t wait to get my body back and feel what I deserve.